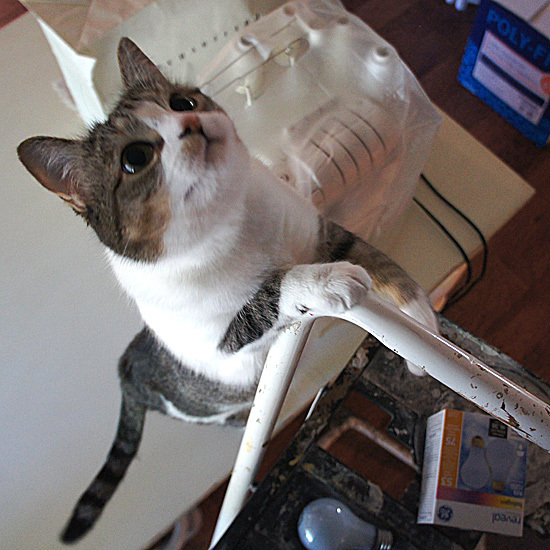 This entry was posted in Pets, Wordless Wednesday and tagged cat, kitty, Ladder, Light Bulb, Wordless Wednesday. Bookmark the permalink. Such hard workers–you should be glad they take care of things! Idk, but it looks like it takes 2 to knock you off your ladder! Terrific pictures!! You guys leave us lost in admiration for your technical skills! 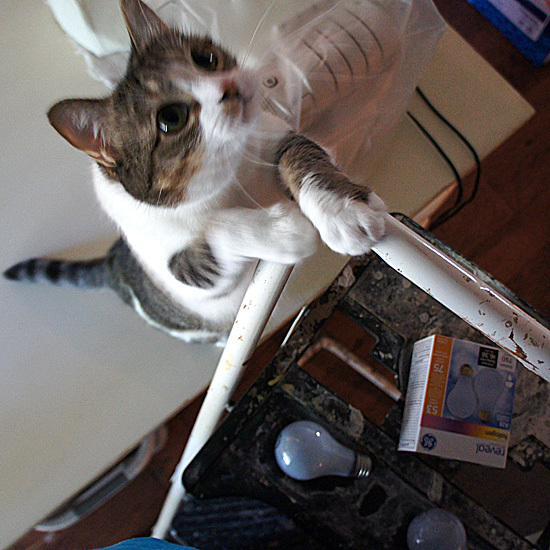 In my house it would only take Amelia and about 3 seconds to knock both of those light bulbs on the floor! 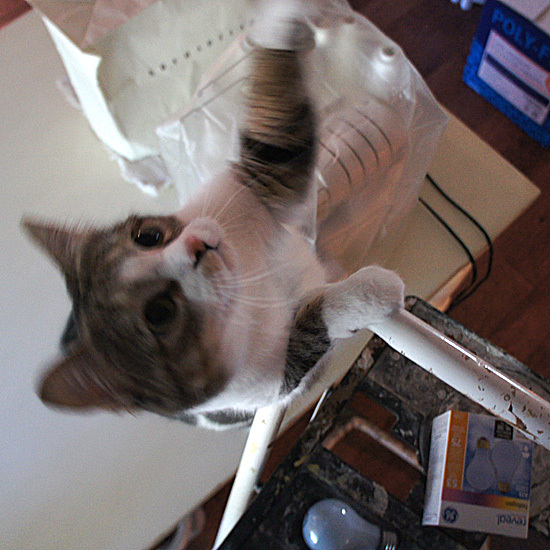 Of course, and cats get it done right the first time too. Haha! 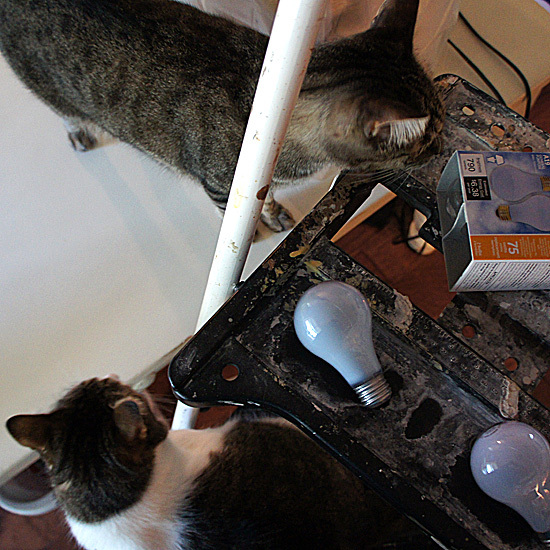 Might take 2 cats, but it will also take more lightbulbs if they knock them down during the process! The two of you appear to be excellent snoopervisors! Good idea to call for the reinforcements! So nice to have good help! Cute pics! You two are on hand to make sure the job gets done right! They’re so helpful. I think they deserve a raise. Not sure about the answer to that one, but I do know that it took two cuties this time! 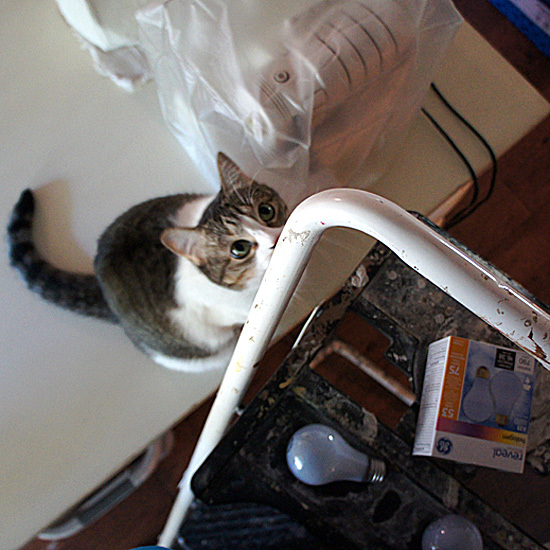 Ha ha, my bipeds always seem pleased when the cats are that helpful!